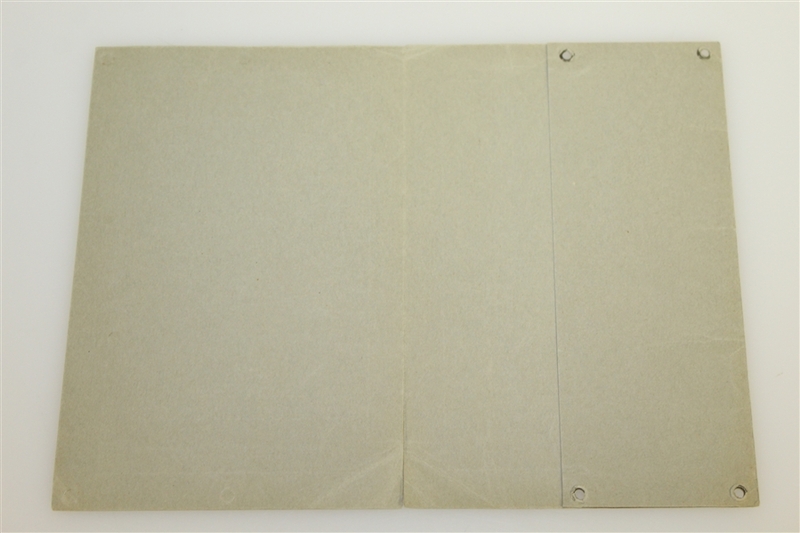 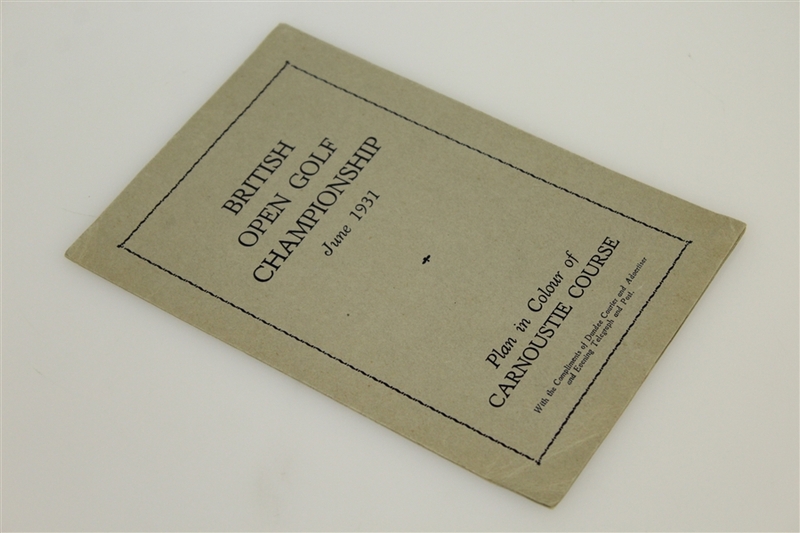 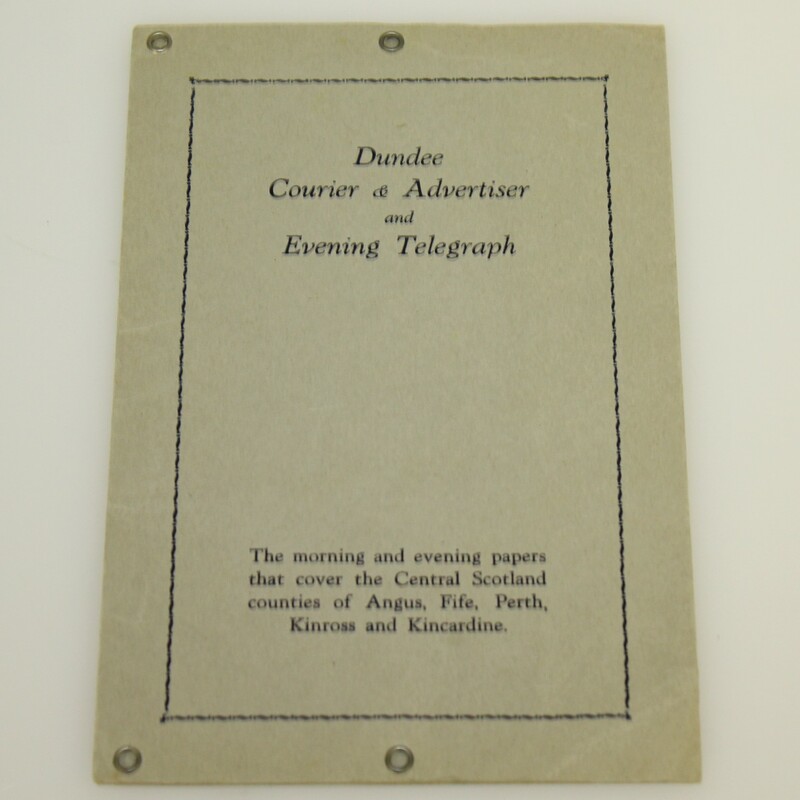 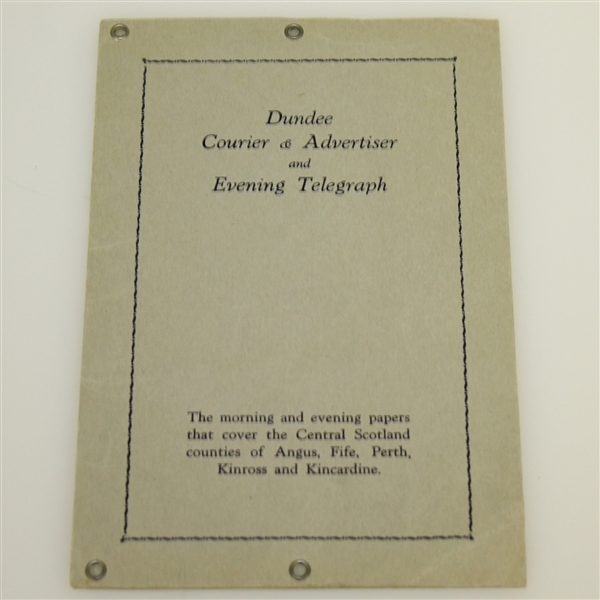 Offered here is a Carnoustie course pamphlet from the 1931 British Open. 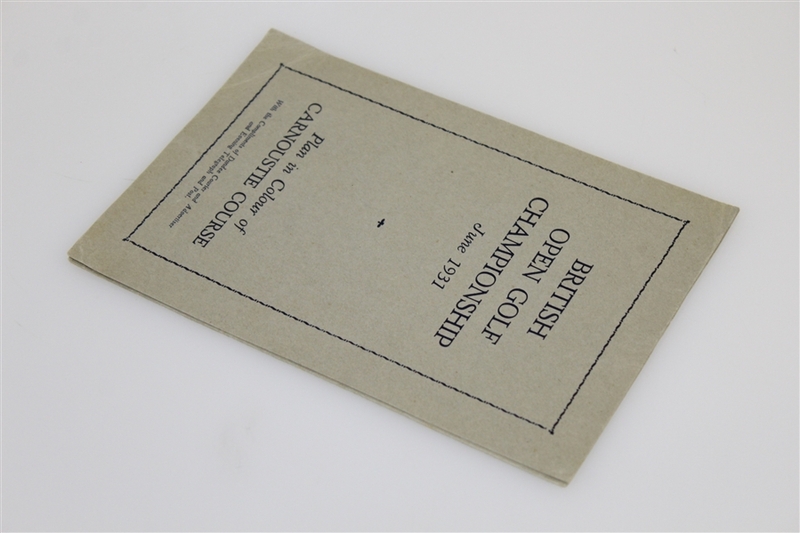 The color map is no long present inside the pamphlet. 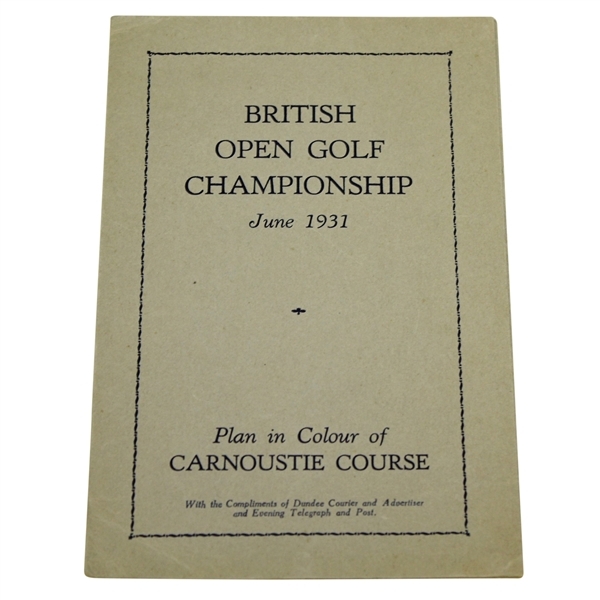 Tommy Armour was a popular winner when Carnoustie staged its first Open Championship back in 1931. 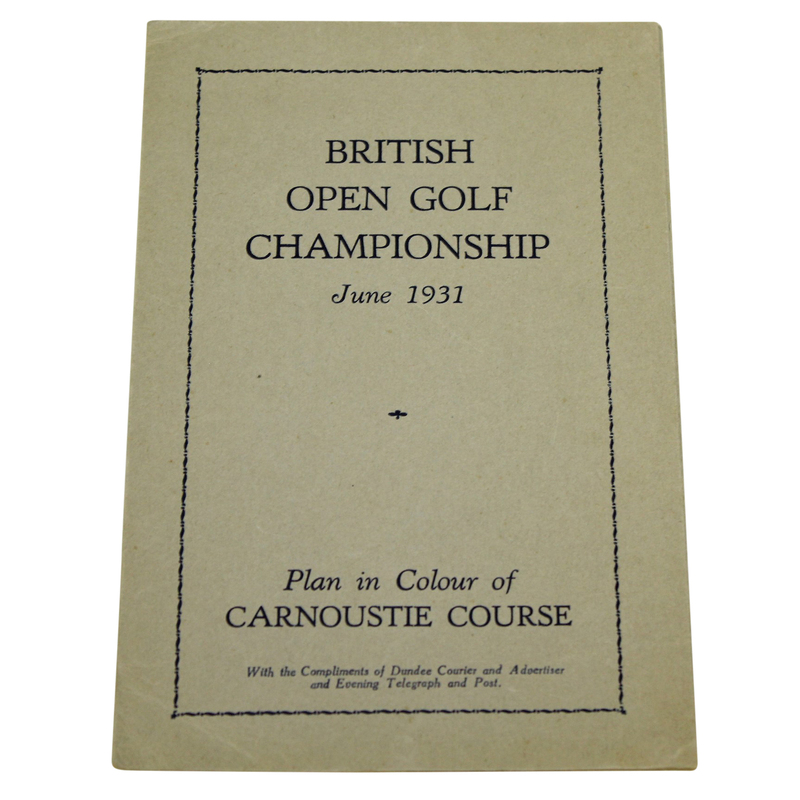 Armour, who was born in Edinburgh in 1896, but who emigrated to America in the 1920's, produced rounds of 73, 75, 77, and 71 to finish one shot ahead of Argentina's Jose Jurado and two in front of England's Percy Aliss and America's Gene Sarazen.